Local Non-Profit Employer or Predatory Broker – Who Wins? Recently, Wyn Williams and I met with a longstanding Local Non-Profit (LNP) in Arizona. This Non-Profit employer is currently self-funded and on an unbundled platform. They are represented by the largest employee benefits brokerage firm in the country. But as employer described the situation to Wyn and I, it became increasingly apparent that this enormous, publicly-traded brokerage firm wasn’t all that sympathetic to the budget of a non-profit. Unfortunately, the Broker had sold employer on the idea of an Individual Stop Loss (ISL) amount of $35,000. This is grossly inappropriate for a group with the enrollment that employer has. Setting the ISL at $35,000 results in higher fixed costs (premium) for employer – and more commissions for the Broker. That’s clearly against the interests of the employer. Higher premium and the fact that commissions are being paid off a percent of that higher premium, directly benefits the Broker and costs the employer more money. If that weren’t enough, the Broker attempted to push employer towards moving back to a fully-insured plan. Self-funded à Fully-insured is a step backwards! It provides the Broker with high commissions and, as discussed below, restricts the non-profit from having real control and choice in employee care. Wrong. Fully-insured plans are legislatively set up to fail. The Medical Loss Ratio (MLR) is a basic financial measurement used in the Affordable Care Act that mandates insurers to spend 85% of every dollar taken in on claims for members. The additional of the 15% that remains goes towards profit, admin and overhead. 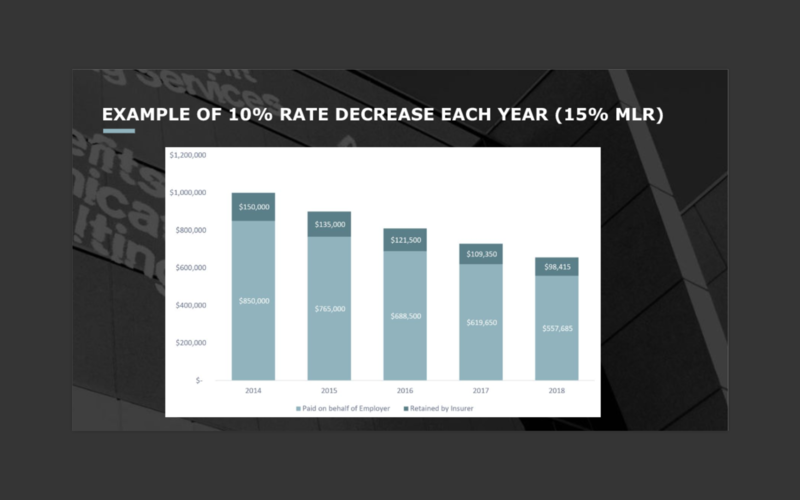 As a result of the MLR, the only way insurers can increase their profit is by increasing claims. Publicly traded entities owe it to their shareholders to increase profits year over year. Thus, insurers are incentivized to increase claims costs year over year. “Publicly-traded” conveys something important for brokerage firms. It means the Broker owes a fiduciary duty to its shareholders. Translation: They’re duty-bound to increase profits, and implicitly forbidden to deliver cost-savings to organizations they represent so long as they remain on a commission based model. This employer, and companies like them, get a raw deal. Wyn and I described the situation to this employer, laying bare the conflicts of interest that brokers face when “representing” their clients. We spared no detail going through all the instances we’ve seen companies being ripped off and mistreated. Then, we explained how Wincline does business differently. 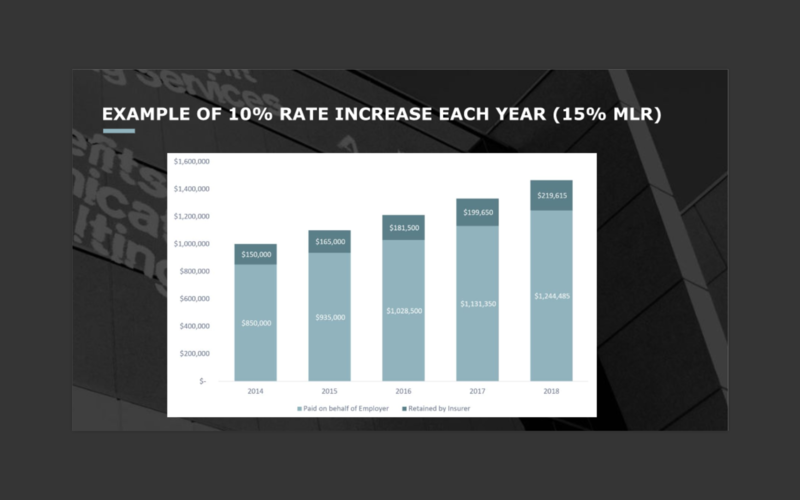 As a fee-only, fiduciary firm, our only concern is lowering healthcare costs for companies and improving their benefits offering . 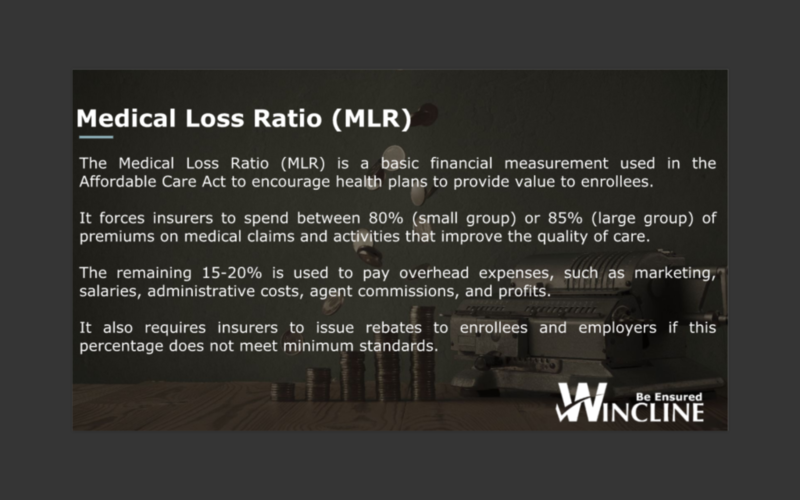 Wincline can truly represent a local non-profit like employer and make sure its limited dollars go as far as possible. Right is right, wrong is wrong! Brokers’ misaligned incentives are hurting our industry and are killing employer’s bottom-lines and employees’ wages. They’re not delivering genuine value; quite the opposite. Times are changing. Brokers need to be true advisors and need to know the ins and outs of all funding options, so they can give holistic advice – not just sales talk. In addition, brokers need to work off a fee-only model so that they are not structurally incentivized to increase premium costs. We’re grateful for the opportunity to discuss benefits issues with a mission-driven, Arizona non-profit – but we’re fired up that we discovered a large Broker doing them a disservice. It’s not complicated to do what’s right. It should be even less complicated when you’re representing a non-profit.